Icchera Song Is Sung by Ishan Mitra from Aha Re Bengali Movie. 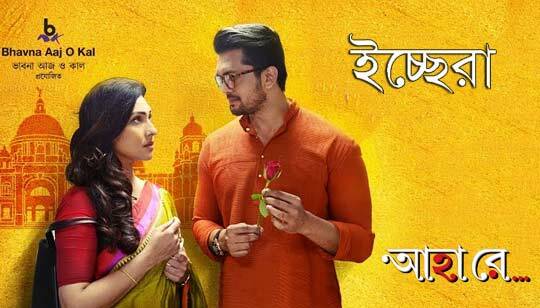 Starring: Rituparna Sengupta, Arifin Shuvoo And Amrita Chattopadhyay. Music composed by Savvy. Icchera Bangla Song Lyrics written by Subhadeep Kantal. Song Mixed & Mastered by Subhadeep Mitra And Program by Shamik Chakravarty. Aha Re Bangla Movie Produced by Rituparna Sengupta. Aha Re Bengali Movie Directed by Ranjan Ghosh.